Starting your Internet radio station takes very little time and effort, because it is simple, fast and easy. After the aforementioned adjustments, your internet radio station is ready to go with the broadcast. The only thing that still remains to do is to make a playlist and start your Internet radio! If you have any questions or problems when setting up accounts or installation, please feel free to contact our technical support. The following is an illustrated manual that will help you with setting up your account and start broadcasting. After you enter the username and password that you’ve received at the registration, your control panel will open. On the left side is the main menu that will look just like the one in the picture. Important: The most important thing before starting the broadcast from your computer is starting the server by clicking on “Start Server”, but before that, you need to set-up your account. This option is required to be able to freely proceed with the work. In “Stream Title” enter the name of your radio station, the e-mail address, your company name and the website of your radio station. In the Password field enter your password given to you in the registration process. Remember this password as it will be required in another step. By this you’ve set up the most important items in your control panel and prepared the server to receive the stream from your computer. You can now start the server the way we’ve already explained in the previous step. Graphical display of the number of listeners in real time, the amount of transmitted data, bit-rate, etc. Keep track of your stats and have insight into the number of listeners at any time. It is very important that you check this option to make sure that the streaming works without problems. Detailed statistics of your radio listenership. With the help of these statistics you can see what kind of program suits your listeners, and plan your program in advance. You will have insight in what time period your radio is most listened, so this time of the day can be best utilized. Switch to “Yellowpages”. Here you can choose the option to submit your station to the Shoutcast listing. in it if you want to make adjustments to your cell Shotcast appear on the site. Once you have this set up, click CONNECT to connect your computer to the server. 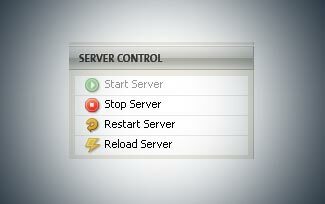 It is extremely important that you previously started the server from the control panel. To make your listeners heard your radio program, it is necessary that you and / or any other site set up links through which you can hear your signal. We We provide links to several popular media playara: WinAmp, Windows Media Player, Real Player and Quick Time Player. It remains to create Playlists in WinAmp-in and hit Play . From this moment begins broadcasting your internet radio signal.Congratulations! Important note: The full text of this side is used as an aid for ease of reference in the configuration dialog. If you have been in this guide is a part nejastan or you need help with settings, please feel free to contact us via phone or e-mail.